Of course, there’s a right to be stupid in America! Indeed, just this week it’s been expanded into having a right to be simultaneously stupid and secretary of defense! 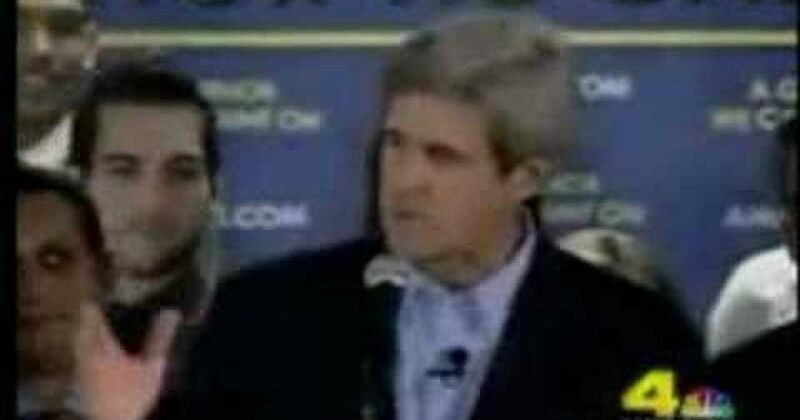 To be fair, Kerry’s statement was in the context of defending, albeit not very well, freedom of speech in America. (Kerry was obviously referencing President Barack Obama’s UN speech in his own talking points.) How Kerry defends it is what’s scary and dysfunctional. He was basically saying: Yeah, we know that all these dumb people who don’t agree with us are wrong but we let them talk anyway because it works out okay in the end since nobody listens to them anyway. While he used the words “virtue” and “worth fighting for” those sentiments seem to be clumped onto the end for form’s sake. Kerry certainly doesn’t say–or understand–that people have rights and government has limits. Instead, he talks as if the ruling elite tolerates such fools because it’s so nice. Aslan has said that “if you know one Muslim, it cuts in half the negativity rating you have toward Islam.” Makes sense. But that depends on who that “one Muslim” is. The main threat to Islam’s reputation is not evil “Islamophobes” but radical or terrorist Muslims and the powerful ideology they have unleashed that runs the lives of several hundred million people, threatens many millions more, and has killed a lot of Americans. PS: I am told by a reliable source that Aslan has defended the Muslim Brotherhood as moderate and in a Middle East literary anthology he edited refused to publish any story by an Israeli. Aslan is one of the most successful–perhaps the most successful–of stealth Islamists in influencing American elite opinion. An Egyptian newspaper reports that a leading figure in the moderate opposition National Salvation Front has said that the organization’s leaders will refuse to meet Kerry because of his pro-Brotherhood policy. Let’s watch to see if they meet him during his visit to Cairo.